Czech running magazine – Behej.com – published a short summary on Sportovia apps in their news section! Thank you! This entry was posted in Sportovia on November 25, 2014 by piotr. 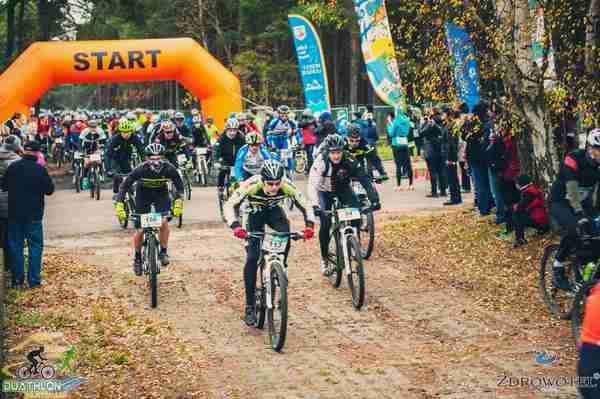 Łeba, a nice Polish seaside town, hosted the new sports event – Dunes Duathlon (Duathlon na Wydmach). The bike section (25km) led along forest tracks and 7 km running – mostly across sandy and hilly dunes. Despite chilly, autumn weather and hard terrain, almost 200 participants from all over the country took part in the race. This entry was posted in Sportovia and tagged duathlon, race on November 17, 2014 by piotr.